You might have noticed… I strongly believe that learning how to code is an essential skill for students. It doesn’t matter what type of career they choose to enter. Problem solving and critical thinking are critical skills for students. Computer science being taught at all levels and the results are powerful. Teachers with access to a range of technology tools can make learning computer science a priority for their students. Computer science is a valuable skill for every endeavor. Structured thinking teaches students how to logically break down problems and gain greater insight into the processes they experience every day. Why Teach Computer Science with Python? Learning a new language is an intimidating task. Python’s English-like syntax and powerful built-in functions make it an ideal tool for everyone from beginners to experts. Computing literacy is becoming a necessary skill, and the Python programming language lets students harness the full computing powers of their device. 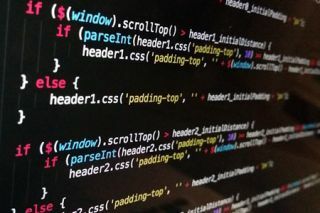 The Python programming language is also becoming a standard tool for modern computing applications so it’s a super practical choice for students. Why Use Pythonroom to Teach Computer Science? Pythonroom removes the pain points associated with teaching computer science. The platform takes care of curriculum delivery, grading, and analytics reporting for the teacher, while providing full transparency into student work and understanding. Teachers have solutions to problems and extra material to help them facilitate the class, and extra features to deliver their own curriculum as well. The Pythonroom team is very accessible and it’s easy to get in touch with them to answer questions and give feedback. Because so many teachers are already using Pythonroom, when you join you’ll become part of a global community of individuals who also want to prepare kids for careers of today and beyond. Learn more about Pythonroom by visiting their website!